Conservation R+D - Big Game Hunting Estate in Spain. "Los Claros"
Conservation, R+D, Hunting and Rural Development. Since 1997 we have been working with universities and other institutions in Castilla-La Mancha, implementing projects and actions in favor of conservation, biodiversity, and rural development training. We have also taken part in conferences, forums, and workshops on hunting and rural development. In 2007 by petition of UCLM we took part in the eighth edition of the "Curso de Caza y Conservación" at the FERCATUR fair. We have also participated in the “I Congreso Caza y Desarrollo Rural” in Toledo on September 29th and 30th 2011 and in the “I Foro Caza y Empleo Rural” at CINEGÉTICA 2013. On March 20th, 2013 in Brussels, Pedro Corell was appointed representative of FEDFA (Federation of European Deer Farmers Associations) for Spain. In May 2013, in association with FEDFA, he founded AECUS (Spanish Association of Wild Ungulates Breeders). In September 2013 we took part in the EMAD (European Meeting on Antler and Deer). Pedro Corell: "Since starting my job in 1992, with the thesis entitled ‘Deer, their livestock and utility in poor areas’ there has been a bond with the UPV. This positive relationship was formalized with the signing of a cooperation agreement in 2004 which gave way to several studies by the UPV, visits by teachers and students of the Department of Animal Science, various projects and also internships". Those interested in taking part in an activity with "Los Claros" should contact Prof. Martín Rodríguez García (Animal Science) and Prof. Diego Gómez de Barreda (Meadow agriculture). At the IX Hunting and Conservation Course given by UCLM shortly after FERCATUR 2008, we contacted with the research team of Dr. Jorge Cassinello and within months we started to collaborate with them. Since then we have continued to work with the IREC in different research projects and dissertations regarding the behavior of mouflon and their interactions with plants and animals with which they coexist, and other educational activities. Anyone interested in participating in one of these academic research tasks can contact Dr. Jorge Cassinello. In 2009 we signed a cooperation agreement with Castilla-La Mancha in the "LIFE+" project known as "PrioriMancha", focused on the "conservation of priority species of the Mediterranean forest in Castilla-La Mancha". The results of the agreement being: we have built 36 stone cairns, planted 11.8 hectares of permanent protected meadows, an isolated area of 2.2ha was treated with phosphate fertilizer and finally was repopulated by wild rabbit. This work has been monitored by CBD-Habitat in order to draw conclusions. In 2009, the JCCM authorized us and provided aid to construct an enclosure within the estate to properly dispose of the remains of dead animals and to comply with the REGA codes for feeding carrion birds. The enclosure is regularly monitored to ensure that wild boar and other animals cannot get in, which prevents the spread of disease. Since we began this measure, the incidence of tuberculosis is notably lower in Los Claros. IREC is tracking the disease. Photography enthusiasts and professionals alike can come and photograph Black Vultures and also the Imperial Eagle through IberianLynxLand. Authorization will be processed once a date of arrival is agreed upon. This way the photographer can prepare before getting to the special enclosure. We offer several large fixed hides for the photographer to sit in and wait, which ensure the best chance of seeing the birds in their natural habitat and capture the perfect shot. 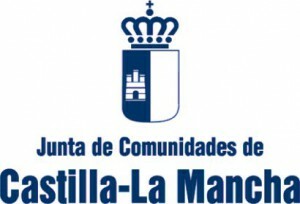 As a result of a meeting between Pedro Corell ("Los Claros"), and Dr. Tomás Landete (experimental deer farm UCLM- Vice FEDFA), the Asociación Española de Criadores de Ungulados Silvestres was commissioned in early 2013. While FEDFA mostly represents deer farms, they also represent hunting reserves and other ungulate breeders. Both groups share common interests, such as defending the value of venison and lobbying for laws that facilitate working with these species in a more open market. In Spain, the need for change is urgent. If we managed to get a fair price for deer meat equal to the average price paid to producers in the rest of Europe, the immediate gains would be worth the effort needed. Currently, the market price for venison wholesale in Spain is up to five times less than in the rest of Europe. However, addressing this issue is only the beginning. See AECUS Institutional Statement and Presentation by Pedro Corell in EMAD. In 2013, as proposed by Dr. Mónica E. González Candela, researcher in Ecopathology, Wildlife Diseases and professor of the Master's Degree program in Wildlife Management at the University of Murcia, we signed a Collaboration Agreement with the aforementioned University. Those interested in the Masters program or eligible for any scholarship should contact Dra. González Candela.